Personal insights of a traveller - Why do I actually travel? I have been asked this question so many times, I sometimes feel like a broken record, merely repeating the same generic phrases over and over again - "Because I want to see the world", "Because I want to experience new cultures", "Because I havn't got anything better to do" (That last one was a joke :p). 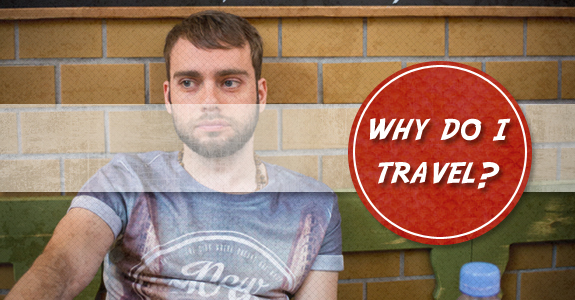 So why do I actually travel? What deeper reasons are lurking at the back of my mind? What drives me to do it and to continue wanting to do it? I took some time to reflect and wrote down some of my thoughts, I hope this gives you a little insight into my life and frame of mine. 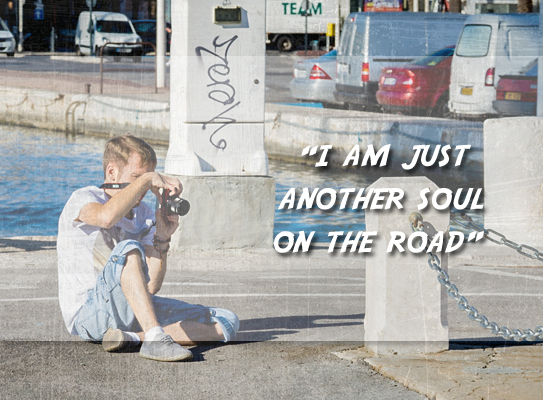 I would love to hear why you travel too - Feel free to leave a comment! From an early age I have always enjoyed learning; I enjoyed my time at school and always loved to read and develop my understanding of anything I was interested in. Travel is a natural extension to my thirst for knowledge – I can spend hours researching a destination and reading about its history and culture before I've even set foot in the area. I can think of nothing better than finding out the history behind an important place – How was the Colosseum built? Who were the first people to set foot on Antarctica? What important political events have taken place at the Budapest parliament building? 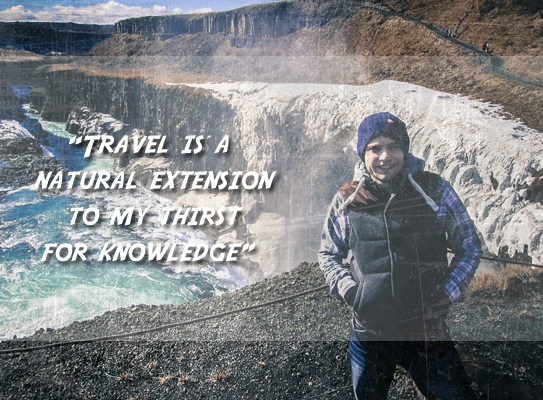 Travel really does provide an endless fountain of information to absorb for those who enjoy to learn. I know this is more of a generic reason, but when I think about it, it's true! Whenever I am booking, preparing, or going on a trip I just feel so happy! 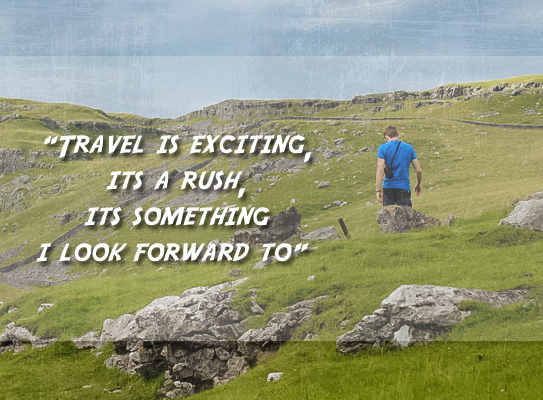 Travel is exciting, it's a rush, it's something I look forward too and love doing. I've had some of the most exciting and exhilarating times of my life while travelling and I genuinely feel so happy and alive when the subject is even mentioned in a passing conversation. This sounds like a strange one, but when I travel (especially solo), I do not worry about what others think of me – I am just a strange new person in a different place with no history or background, and the people I meet don't have any pre-conceived notions about me. It's bliss! I always try and be myself with my friends and family, but I believe that sometimes people can behave in certain ways, or alter how they are as they feel it is the way they should act. When I travel, no one knows me, and there is no pressure to act in a certain way; I am just another soul on the road and that level of anonymity is really refreshing. This is true in so many different ways - Travel has helped me become more confident, more open minded, more independent, better at planning and organising, and a host of other things too. I feel it has genuinely made me a more rounded person. Before I would be reluctant to strike up a conversation with a stranger, but now I am more than happy to on my travels. My planning has improved ten-fold through organising flights, trains times, buses, accommodation etc, and this has also helped my in my day to day life and at work. 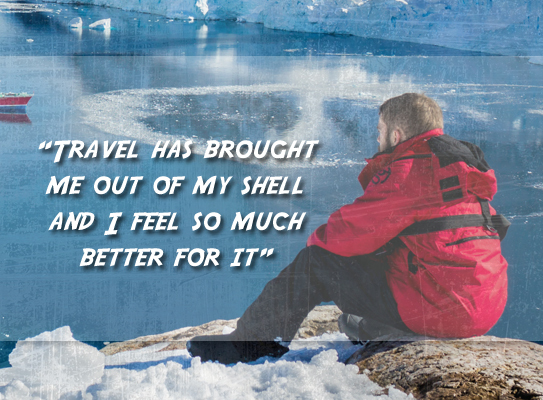 Travel has brought me out of my shell and I feel so much better for it. So there you have it, a short insight into the more meaningful reasons behind my desire to travel. Now it's your turn, I would love to hear why you travel; I'm sure there are hundreds of different reasons, each as personal and different as the next.